The French left their mark on Duluth as early as 1679, when namesake Daniel Greysolon Sieur Du Luht portaged across Minnesota Point at Onigamiinsing (“Little Portage”), the spot where Duluthians later dug a ship canal. Soon after came the voyageurs. When the fur trade died, French-Canadians worked in mines and lumber camps. 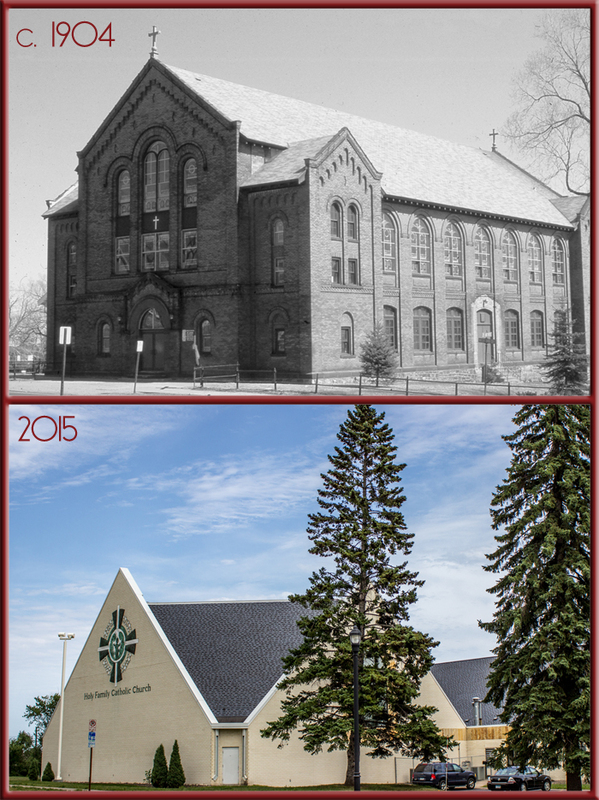 Prior to the 1880s, Duluth’s Catholic French-Canadian population attended Mass at Sacred Heart. By 1884 the French-Canadians made up the largest Catholic population in Duluth and they organized their own French national parish, St. Jean-Baptiste. A year later they built a modest wooden structure in the heart of The Glenn beneath Point of Rocks at Eleventh Avenue West and Superior Street. The French-Canadian population, employed for the most part as laborers and building tradesmen, continued to grow. 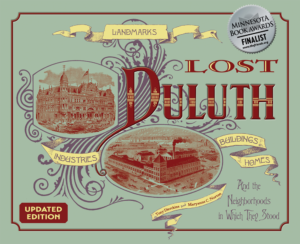 In 1888 two hundred French Canadians called Duluth home; by 1902, that number had grown to five hundred. In 1904 the parish decided it was time for a bigger church. At this same time, Duluth’s growing population of Italian immigrants (many of whom already lived in the Glenn) had no church of its own, one with a priest who could give sermons in both Italian and English. So they bought the 1885 St. Jean-Baptiste and renamed it St. Peter’s. 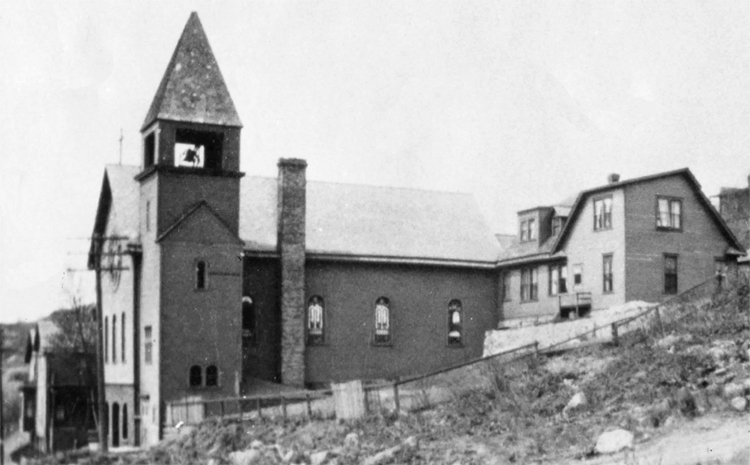 It stood until 1926 when a new St. Peter’s was built atop Point of Rocks. The French moved deeper into Duluth’s West End in 1905, building a new church and school at Third Street and Twenty-Fifth Avenue West. The two-story red brick church employed an unusual design, with its school on first floor and church on second. The front gable’s tall triple-arched windows stood over a stone arched entrance; the gables were adorned with decorative brick work. St. Jean-Baptiste absorbed St. Clement’s congregation in 1975 when the German church was sold and joined with Sts. Peter and Paul’s, originally built to serve Duluth’s Poles. The congregation celebrated Mass at both churches until 1996, when St. Jean-Baptiste was razed and replaced by the Holy Family Catholic Church, where both former parishioners of and artifacts from all three churches found a new home.